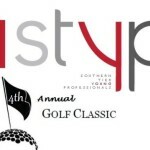 STYP is holding the 4th Annual Golf Classic – a fundraising Captain & Crew Tournament open to all – on Saturday, September 29th, at Traditions At The Glen Resort and Hotel in Johnson City. Registration & Lunch will begin at 11:30, with a Shotgun start at 1:00 pm for all golfers. A dinner reception will follow play, beginning at approximately 6:00pm. PLUS, a chances to win great other prizes! $75 single registrations will be accepted, however full foursomes will be given priority. If you want to golf and need help pairing, or if you would like to help sponsor our event, please contact us via email at styp@styp.org! Tickets for the Dinner Reception only will be sold for $25. Join STYP and Binghamton ASQ at Parlor City Pub, for our first joint networking mixer of the Fall! We will plan on ordering a few complimentary pizzas from Parlor City Pizza next door, for everyone to enjoy during the mixer. 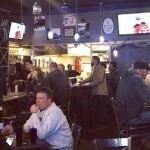 Our group will be outdoors on the patio, weather depending. Please note, you do not need to be a member of either organization to attend this event – we are looking forward to welcoming some new faces!